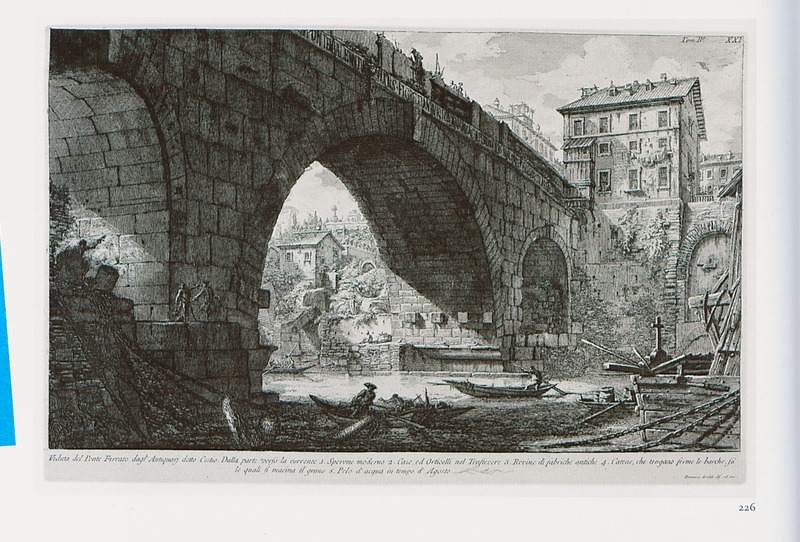 View of the bridge of Cestius in Rome. 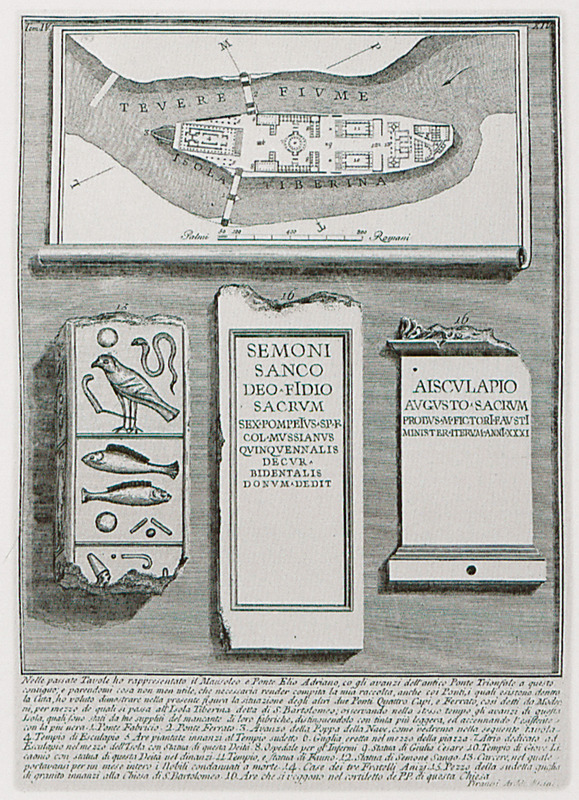 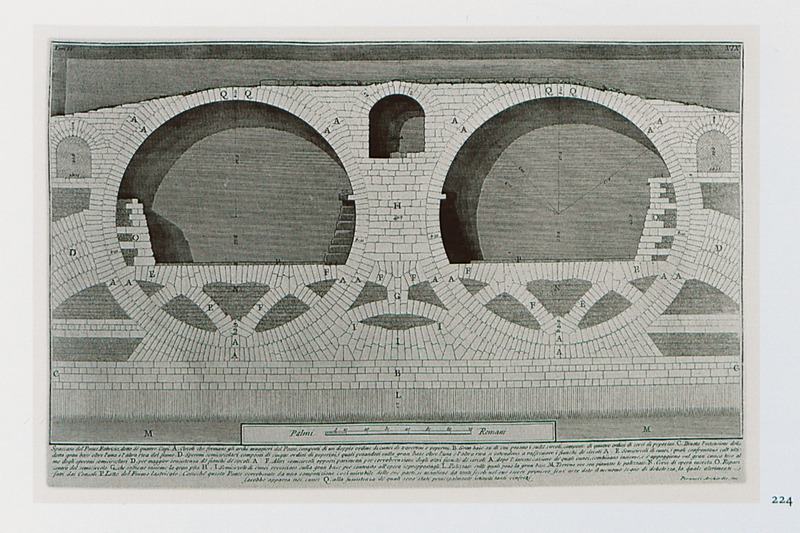 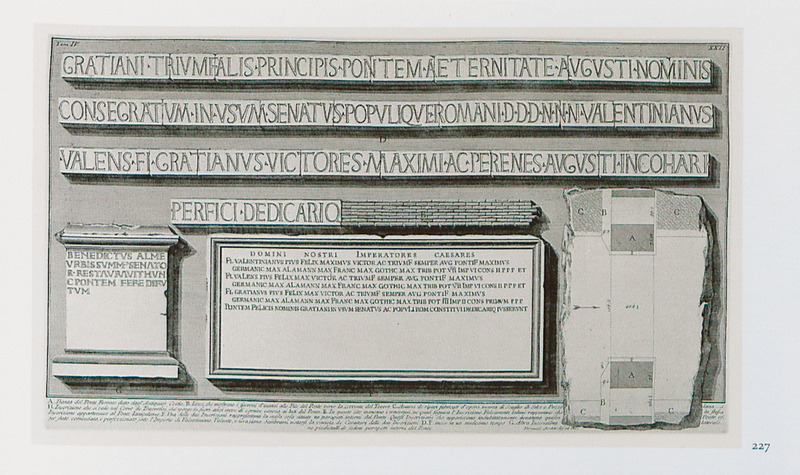 Roman inscriptions and plan of part of the bridge of Cestius in Rome. 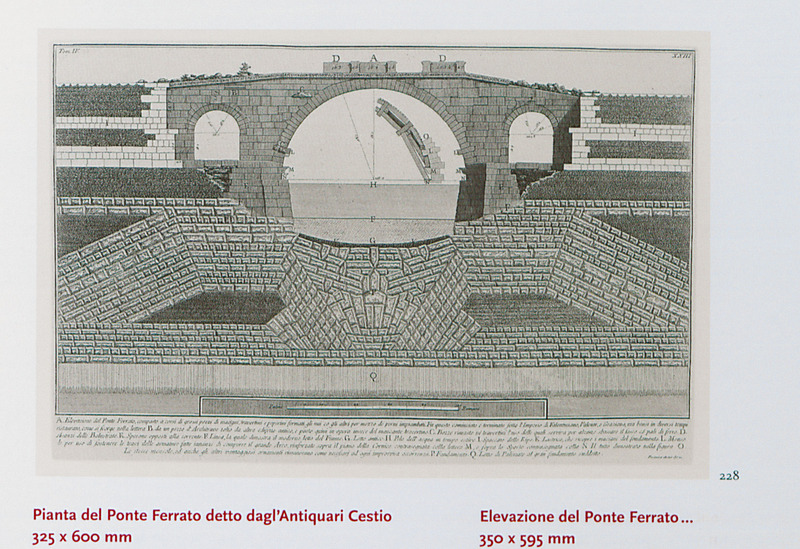 Side view and architectural features of the bridge of Cestius in Rome. 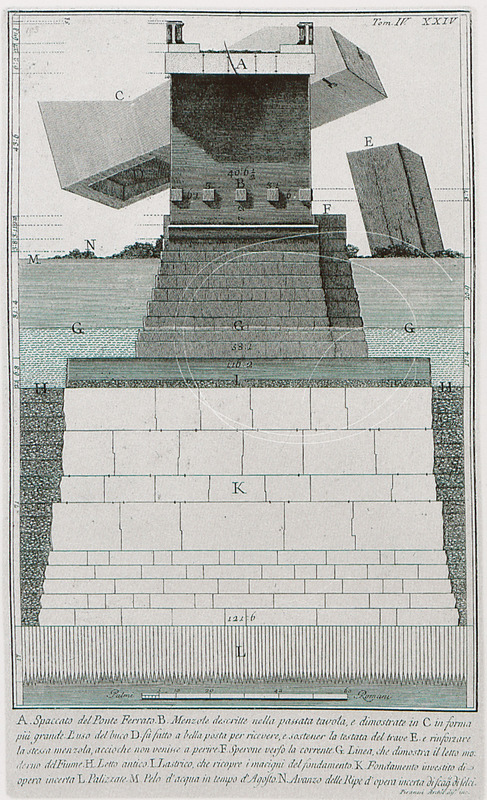 Vertical section of the arch of the bridge of Cestius in Rome.